Everyone experiencing these sessions comments on the sense of calm, the children’s focus and the incredible range of skills they develop, both musical and personal. 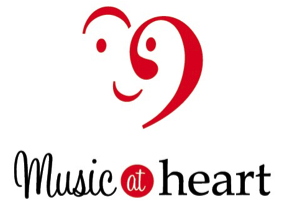 Music at Heart is fast gaining a reputation for providing something that is refreshingly different from typical baby and toddler music groups offered in the locality – immeasurably more than just music lessons. The Suzuki approach introduces children to music the way they are introduced to language – from birth. With both, for the best outcome, this early start is crucial. We talk to a baby because s/he is beautiful and because we feel affection, whether or not the baby understands. To underline this, Music at Heart offers free classes to newborns for the term in which they join.